Firefighters are no strangers to saving lives, so luckily a tiny kitten that showed up at the Steinbach fire department, still has all nine. Firefighters in Steinbach are used to responding to calls for help, so when a tiny kitten pawed at their door, they answered. 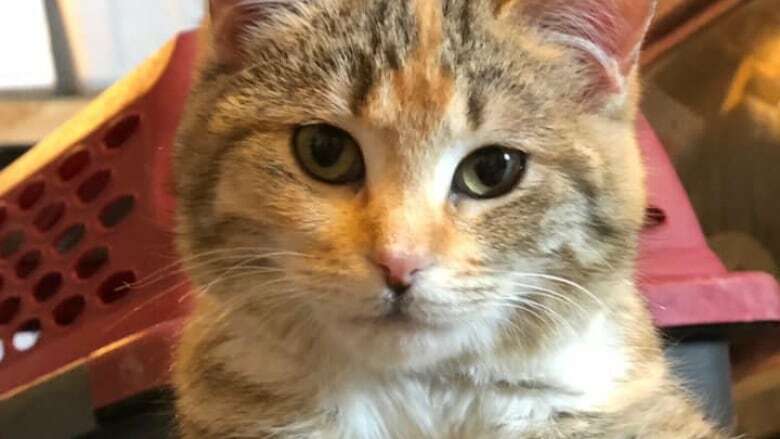 "We noticed a little kitten looking in the window, putting her paw up against the window wanting to come in," Steinbach fire chief Kelvin Toews told CBC's Radio Noon. Nearly three weeks ago, the young cat came by the fire hall and wouldn't leave. Crews took pity on the cat, who was out in the cold and brought her inside the hall to warm up. 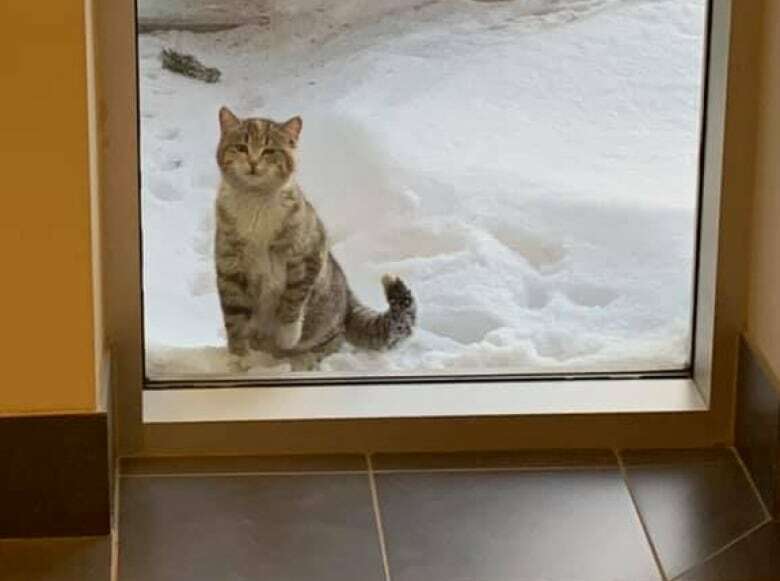 The fire department posted news about the cat on its Facebook page, searching for whoever the cat belonged to, but didn't have any luck. "She's a little calico, very friendly, obviously has been around people before so I'm not sure what her full story is," said Toews. 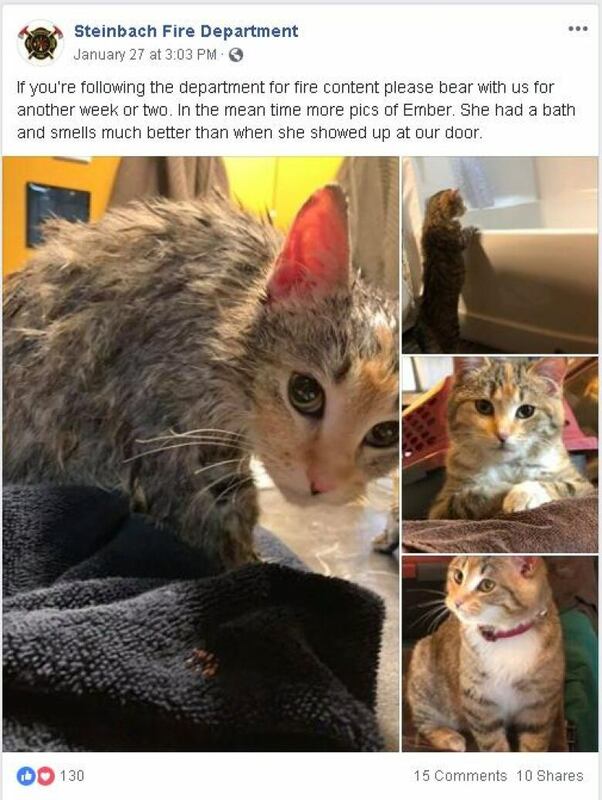 Toews said people in the community began to follow their social media account in search of updates about the cat, which are cutely named "Ember Alerts." "She's a beauty! And I'm following your page for kitty updates!" one post read. Crews posted pictures of the cat and followers suggested names for the feline, with Ember being the top choice. Toews brought Ember to stay in his heated garage while they figured out what to do with her. At the end of January, she was taken to the vet to address some ear mites and get spayed.